About the series: Texas leads the all-time series 162-90, but Baylor has been on a torrid streak. The Bears have won six straight over the Longhorns, including a 74-73 double-overtime game in Austin last year. Texas is 2-8 in the last 10 games in this series. About the Longhorns: Texas coach Shaka Smart made a direct plea to fans, especially UT students, to come out to the Erwin Center. “Our students have been phenomenal in our last two games,” he said. “I’m really, really encouraging everyone to come out, be loud.” The Horns need to get junior guard Elijah Mitrou-Long going again. He has scored only two points and taken just four shots in the last three games combined. Texas has finally found its way at the free-throw line. For two straight games, the Horns have shot better than 90 percent at the stripe. It’s a key reason why UT leads the Big 12 with a .789 shooting percentage from the line in conference play. About the Bears: Graduate transfer Makai Mason from Yale was named the Big 12 player of the week after ringing up 40 points in a blowout win over TCU last Saturday. He was 9-for-12 from 3-point range. 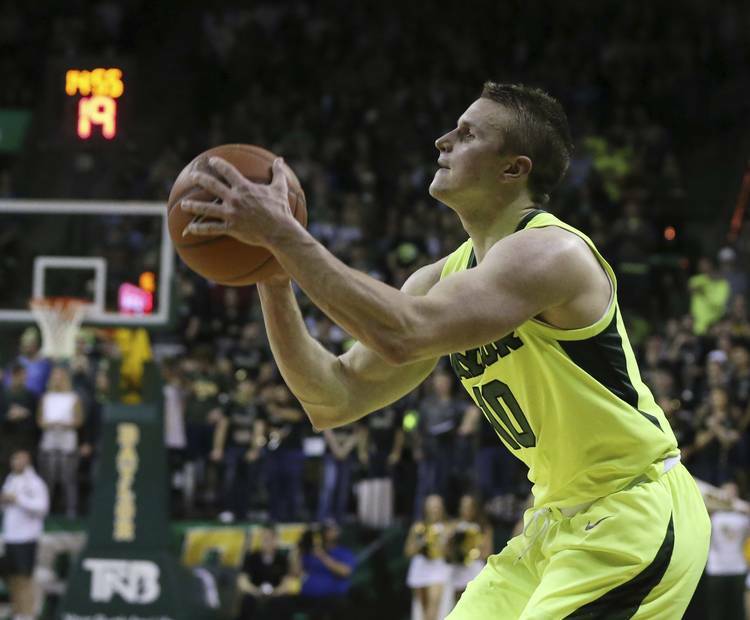 “I wasn’t even looking at the 3-point line,” Mason said afterward, according to Baylor Bear Insider. “I was just looking at the basket. It was just kind of one of those nights.” Mason also put up 25 points against Iowa State and 29 against West Virginia. As a team, Baylor is red-hot at the moment having won six straight. Coach Scott Drew’s club has shot better than 41 percent in all of them. “When one of us does well, no one’s complaining that they didn’t get theirs,” junior Freddie Gillespie said after the TCU win.